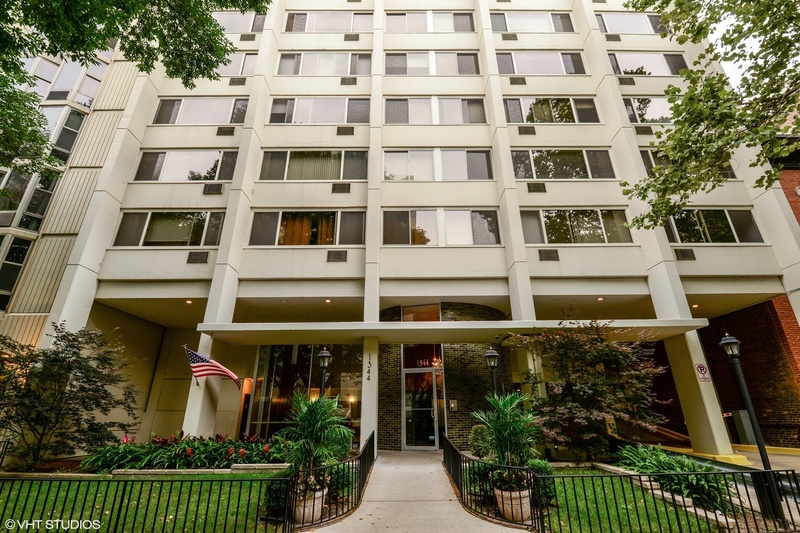 Don't miss this huge one bedroom condo in a prime Gold Coast location. Preferred 'A' tier overlooking lovely, leafy Dearborn Street, this unit has full east and west exposure for good light and cross ventilation. The massive freshly painted living/dining room has real hardwood floors and crown moldings. The kitchen and bath were renovated in 2014. The kitchen features upgraded stainless steel appliances, double over, 42' cabinets and granite counter tops with a breakfast bar. The bath was totally redone with a large tiled shower,new fixtures and sleek finishes. The large bedroom features a custom organized walk in closet. Unit storage includes double coat closet and linen closet as well as an assigned storage locker. The building features beautiful sun deck with stellar skyline and lake views, laundry and bike room. Walk to everything location - restaurants, shopping, lake, entertainment. Pet friendly building. Two deeded tandem parking spaces additional $30,000.